This is an excerpt from an email conversation I had with Lester about his Quantum Formula S chassis #4101. It describes some of the race history of the car and confirms that it ran as a Formula Junior at one time. It is addressed to "Randy". I suppose that is probably Randy Cook. There's no address or last name. It is dated 10/21, but no year. 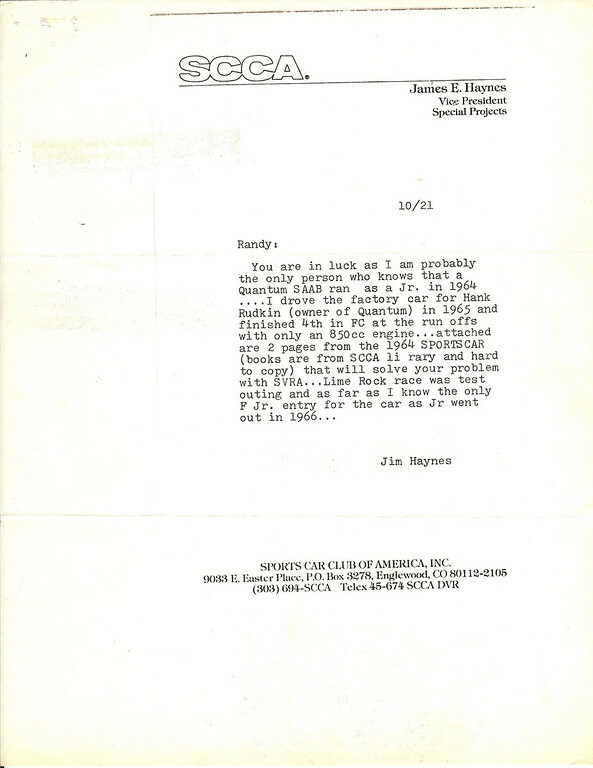 It is on SCCA letterhead. 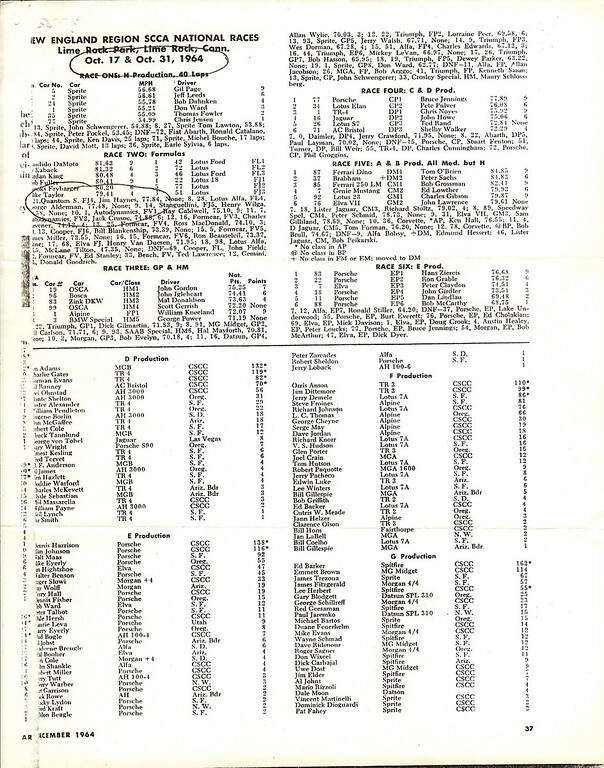 The attached results show that he did indeed finish 4th in F Jr. (7th overall) at the "New England Region SCCA National Races, Oct. 17 & Oct. 31, 1964" in the "formulas" race. It looks like a mixture of "FL" (Formula Libre), FJ, and FV. The first 6 cars in the race were all Lotuses.